HONOR, a global leading smartphone e-brand today announced the onset of the Gala Festival in India. 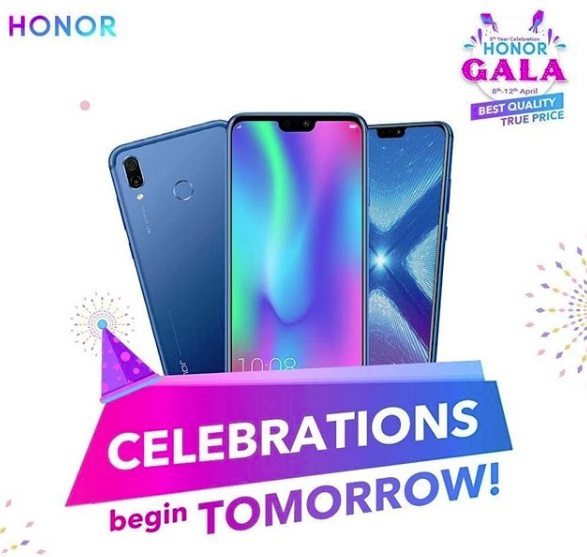 Aimed at gratifying HONOR’s valued customers in the country, the festival will host the best deals and discounts till date on not just smartphones but across the brand’s eclectic range of wearables. The Gala Festival will be a five-day extravaganza starting 8th April and running till 12th April 2019 on Amazon and Flipkart.